Fun Second Grade Writing Practice! 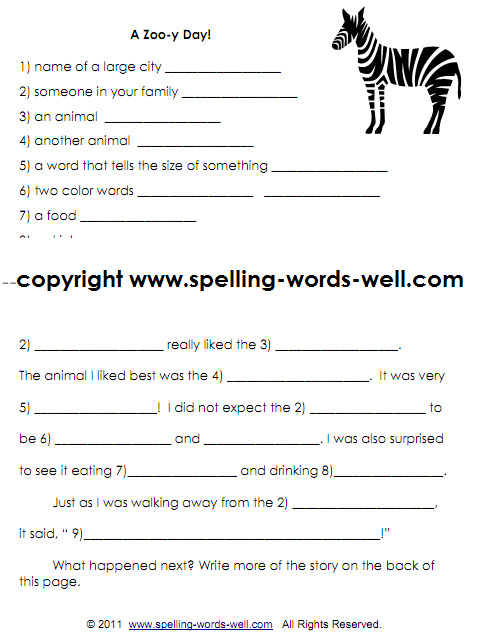 Here's one of our favorite second grade writing worksheets. Why does this one work so well? Because we give students the framework for a great story and they "make it their own." If you've ever asked students, of just about any age, to simply "write a story," the standard reply you'll receive is, "I don't know what to write about." This worksheet takes care of that problem! This is an individualized fill-in-the-blank exercise, similar to those you may have played at a party. 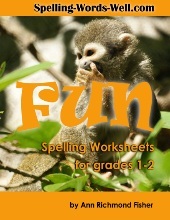 It's a fun way to ask students to read, spell and write. Here's a screen shot of part of the free second grade writing worksheet. The directions are underneath. You'll need to help the students with the directions the first time they complete the page. 2. Give the student the bottom the story on the bottom half. 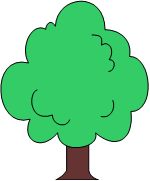 Ask him to copy each word from his word list into the matching blank in the story. 4. FInally, ask the student to finish the story by writing 2-3 sentences on the back of the page. You can also ask the student to rewrite the complete story in his own handwriting and add illustrations. Try these second grade writing prompts, too! NEW! Second grade lesson plans - 25 spelling dictation sentences and full instructions. Use a few of these each week to provide students with extra practice in writing, spelling and using spelling words in context. Lots of Leaves! Students will discern long and short vowel phonics sounds as they complete this appealing page. For more ideas for second grade writing and spelling practice, check out this list of 40 spelling homework ideas. 2nd grade spelling activities and games - Get your students working and thinking together as they practice their spelling words. Whole Class Activities for 2nd grade spelling - Your students are sure to enjoy playing "Stand & Spell" and "Identity Riddles"!